Healthy is beautyful! Care your skin from the inside as well as from the outside! 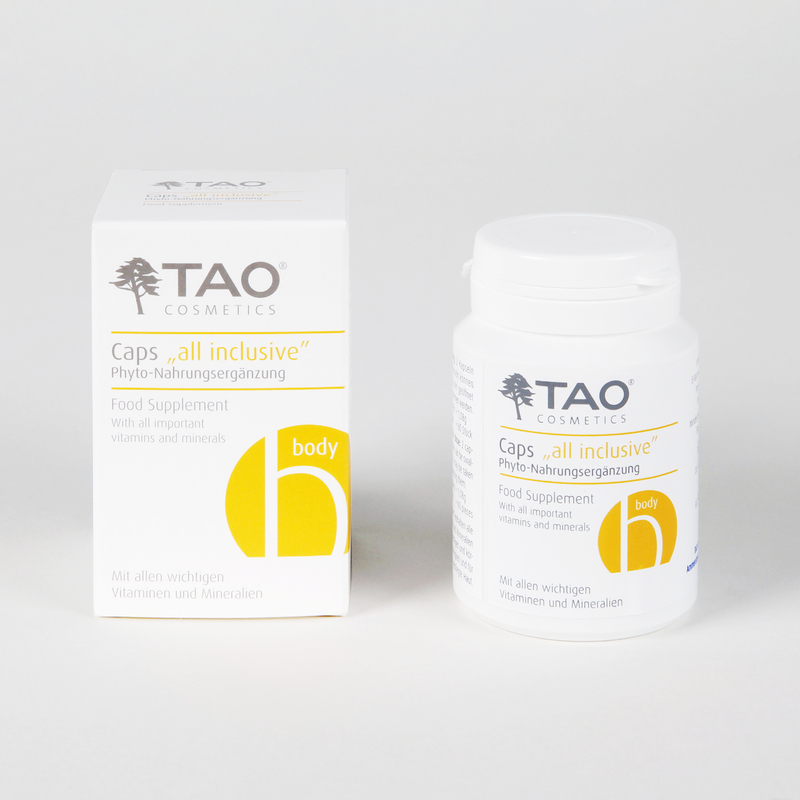 From the outside you use a rich care for your skin: provide your skin and hair cells also from the inside of the body with all important vital substances in adequacy by using TAO Caps. Outcome: A good physical performance and vitality and the supply of the whole body with plenty of essential vital substances form the natural basis for your beautiful skin and hair: they are the secret of magic, pure and youthful skin! Our skin is the mirror of our body, too! We are often not provided sufficiently with essential vitamins, micronutrients and protective secondary plant compounds by nutrition: as even in case of careful choice of our food (including fruit and vegetables 5 times the day) we do not know which vital substances are still left in it!